I have no training or past experience as an artist, in fact Information Technology has been my profession and career. However, in early 2006 my close friend and ‘best man’ suffered a severe stroke which left him ‘locked-in’ until his passing away in April 2008 – a direct consequence of excessive work pressure and stress in his day job. This event and the loss of a close relative to cancer has made me sit back and think that there is a lot more to life than work. I firmly believe that anyone can be creative, but it is the media and lack of self confidence that eludes most people. I explored a number of creative avenues. 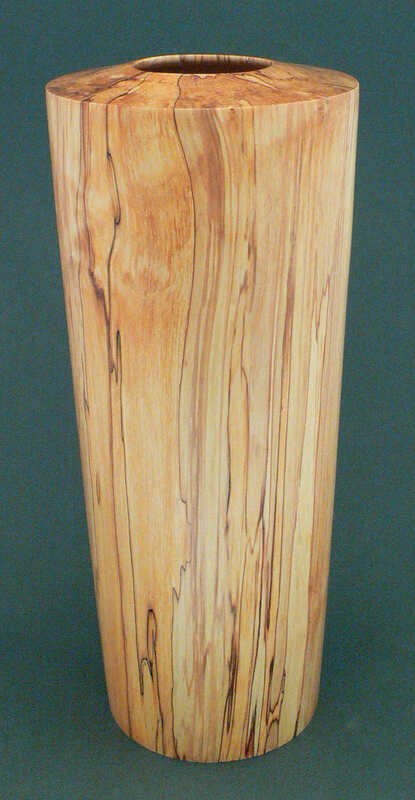 I have always loved trees and had a fascination for wood grain – the wonderful patterns and line art created by nature. Wood art was really staring me in the face - I just did not know it! How to release this creative force within me? The answer came at an Arts & Crafts show – an exhibition of wood art where the work was beautiful, mesmerising and tactile. After many questions, (too) much planning and finally ”being told to just get on with it”, I acquired the tools and wood and began to make creations of my own. 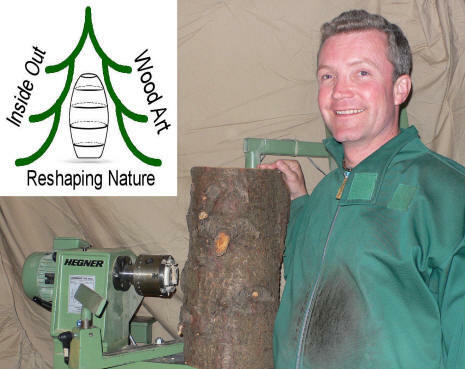 A new career had begun…..
My source of wood (logs) is from locally reclaimed trees – diseased, wind blown or through intervention by tree surgeons. I create contemporary wood art by 'Reshaping Nature', revealing fascinating combinations of patterns, lines and wood grain. The work evolves through careful shaping, a controlled drying process, seasoning and finally finishing with natural oil - a slow process, but well worth the effort in order to conserve the beauty that is wood. The original piece of wood is turned (literally) 'Inside Out', in order to display to you the 'Wood Art' that has been hidden away for many years. Not every piece ends up being totally symmetrical – natural drying allows nature to influence the final shape with some fascinating and quirky results. The resultant hollow form creation is not a single piece of Art - a very different perspective can be enjoyed through '360 degrees' of 'Wood Art'. I hope you will share with me in my enthusiasm!